Another week, another batch of shiny new kit to add to our moving sale! This week we’ve seen some awesome new arrivals in store! If you’re looking to grab a bargain then now is the time! 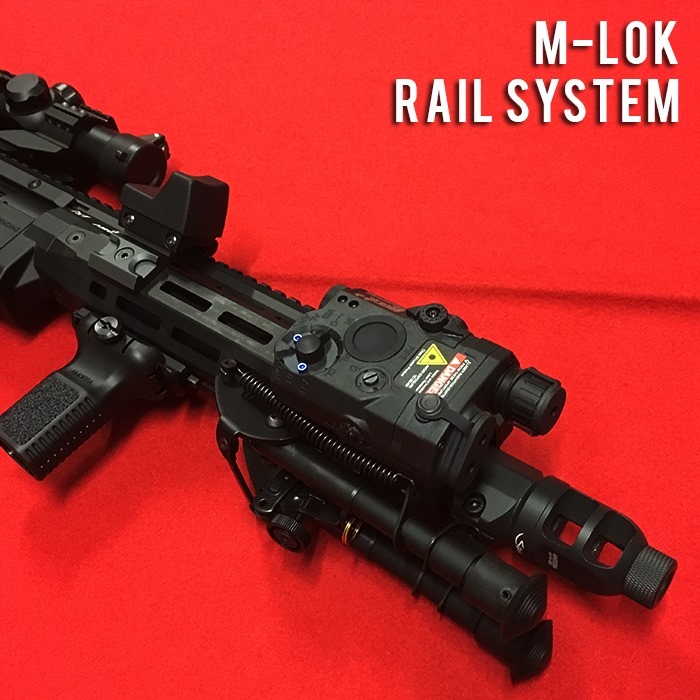 Internally it features the tried and tested Ares Electronic Fire Control System (EFCS) which allows for a rapid trigger response. 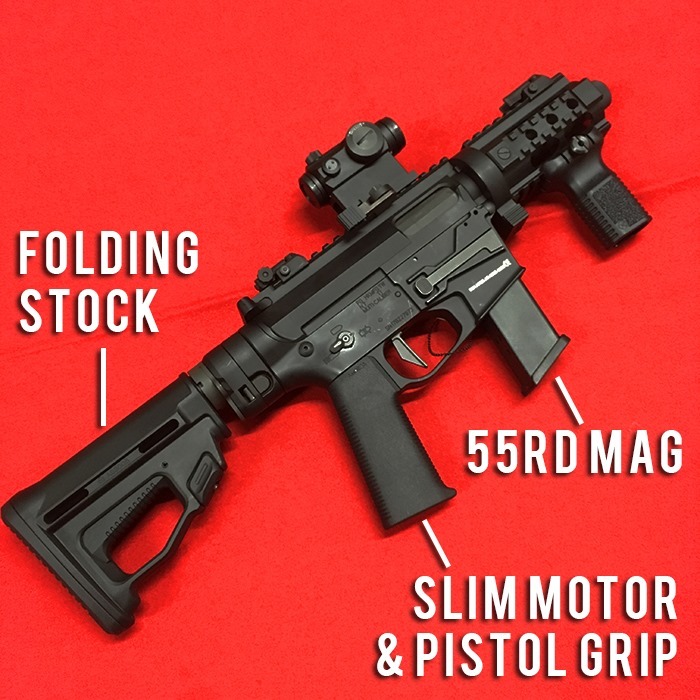 One thing to point out is that the M45 also features a slightly different grip angle, this is all thanks to the new Ares slimline motor mounted inside! The much steeper grip angle is incredibly comfortable over more conventional grip angles. But it doesn’t end there! The M45 also features a cool quick change front end system, allowing the whole front end of the gun to be twisted and removed in seconds! With a variety of other front ends to eventually chose from, you can make the gun longer to suit your play style. 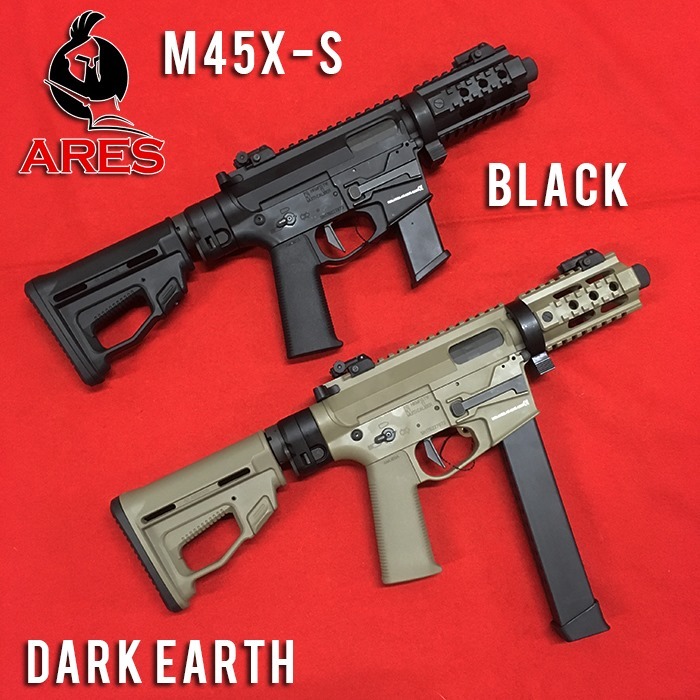 Alongside this choice in front ends, Ares also announced a variety of stocks, muzzle breaks and even A drum magazine! Another great option for those of you looking to change things up a bit! 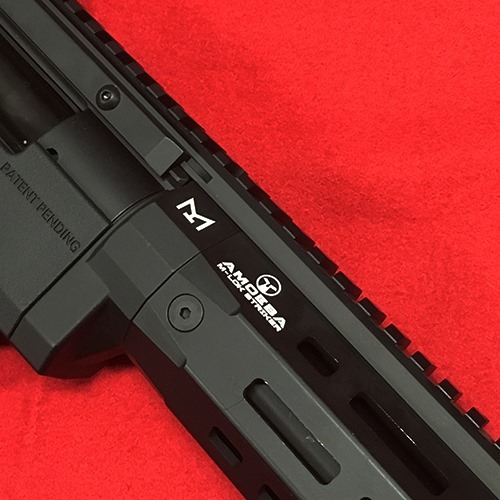 Up Next we have a cool piece of kit for those of you looking to spend some money on your ARES AS01 or AS02, This incredibly modular rifle has just opened up a whole new avenue of customization thanks to the new Ares Amoeba CNC M-Lok Handguard. 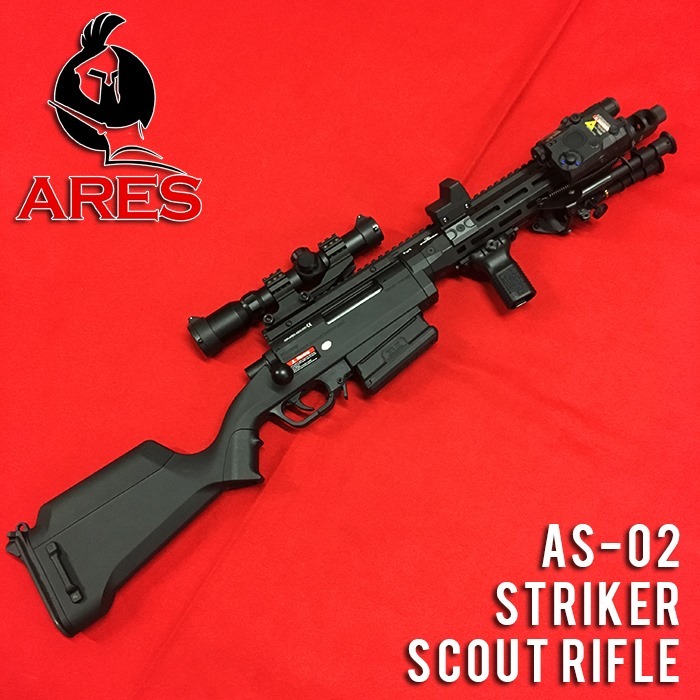 As you can see, we took not time at all to slap this baby onto an Ares AS02 Scout Rifle and create a mean and modern looking Sniper rifle. 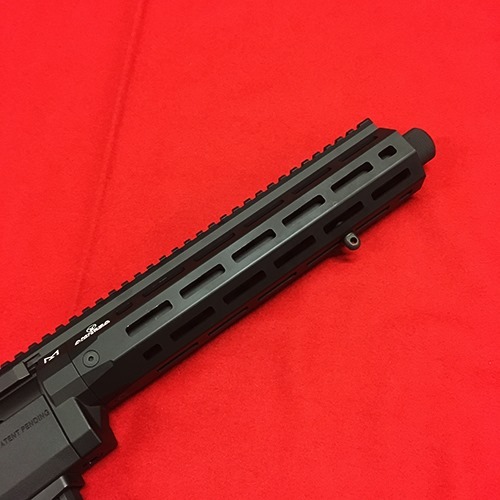 As you can see, theCNC M-Lok Hanguard provides both a durable and highly ergonomic front end with plenty of space for accessories on all angles! Bi-Pods, PEQ Boxes, Lights, Lasers, the kitchen sink – This front end has room for all of that! The best bit is that it is both quick and easy to install, providing you with a sleek modular platform in a matter of minutes! 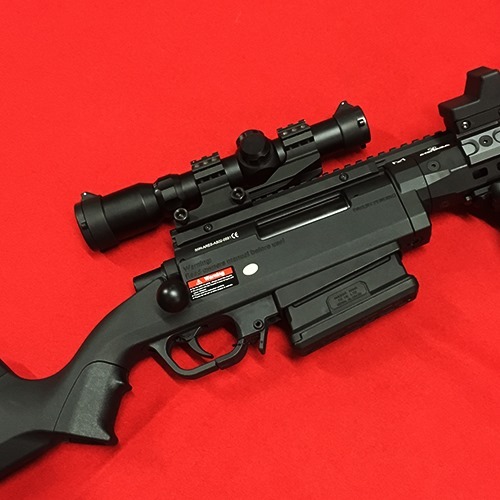 Rounding things off we have another new addition from AIM-O optics! 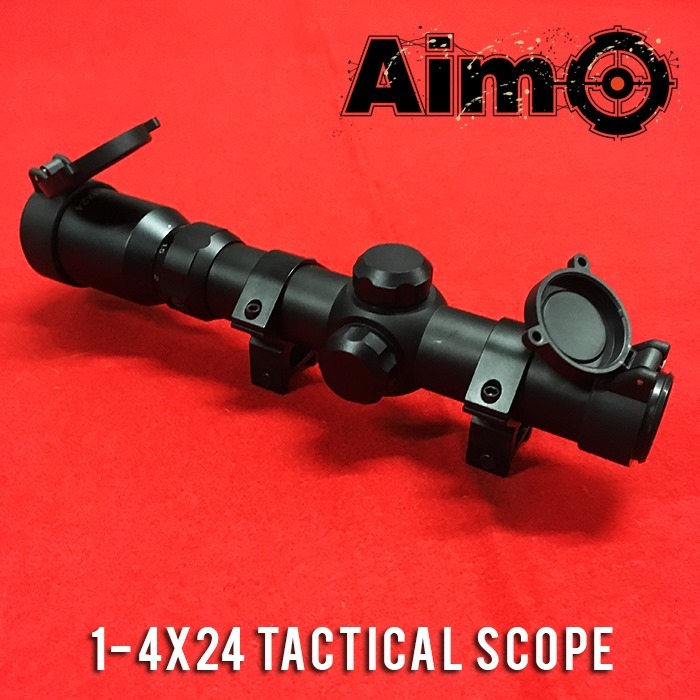 The Excellent 1-4×24 Tactical Scope is a highly affordable choice for anyone looking for variable zoom "Short Dot Style" of rifle optic. 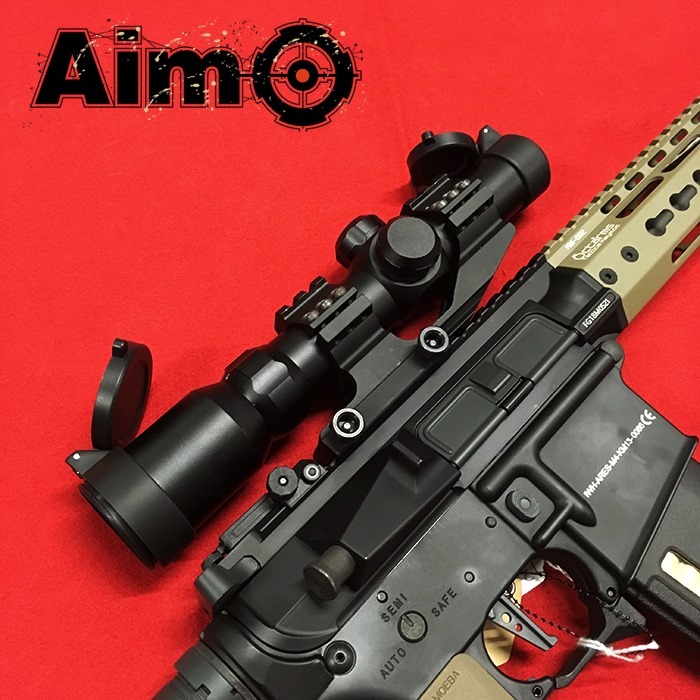 Available in both Black and DE (We Currently are stocking the Black Variant), the Tactical Scope features solid full metal construction and even comes with two scope rings to allow it to be mounted onto any rifle. However If you feel like spicing things up the scope will fit almost any 30mm Scope mount as shown below. Simple and easy to use, the Scope can be zeroed easily using the windage and elevation dials which feature easy to grip surfaces so you can make easy adjustments whilst out on the field. For the variable zoom simply twist the collar located towards the rear of the scope allowing you gradually zoom from 1x all the way to 4x for those hard to reach targets. 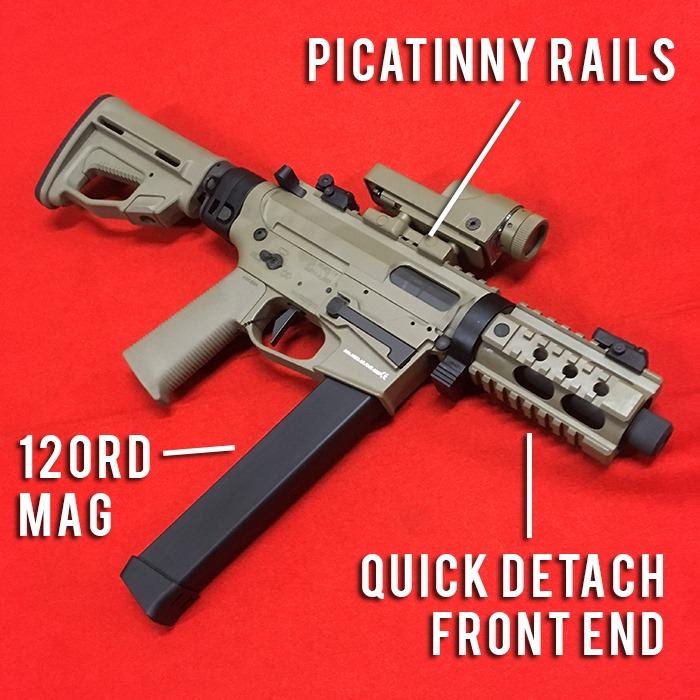 Overall this Optic is perfect for those of you DMR players or even riflemen who prefer engaging targets at a variety of distances!